I work with a variety of clients to craft their vision and advise on design, marketing, and business strategy. Scoot, a short-term moped rental transportation app for SF and Barcelona (strange mixture, I know) hired me to help redesign their app. Key goals were to simplify the experience, rework the app for multiple vehicle types, and break down workflows into easy-to-follow, simple steps. The act of “Scooting” has a lot to it — discovering available Scoots around you, booking a vehicle and walking to it, getting ride-ready, inputting and navigating to your destination, finding parking free of street-cleanings and meters, properly putting the Scoot away, and then walking to your final destination. We debated between destination-first and vehicle-first approaches, and ended up going with the latter to better serve our current rider behavior and be realistic about the possibility of building a bespoke turn-by-turn direction feature. I simplified CTAs, reworked flows, distilled screens down to essential information, cleaned up the map and colors to be salient and clear, designed turn-by-turn directions and a “parking mode”, and concepted new features like a Range Map, context-specific riding tips, and Scooter identification features to limit confusion. I was hired by WayUp to redesign their student profiles to be less about work experience and more about showing off their personalities. This was accomplished through a design focused around modules. Work experience and school modules were mandatory, but students could drop in a module about their github streak, current favorite book, a list of places they've traveled, a cause they volunteer for, their top 10 Spotify songs, and more. I designed responsive desktop and mobile designs, each module, and the module creation/editing/moving/deletion process. Cymbal hired me back freelance for a few projects after I left the company (hourly rate, whatup!). The goal was to create a b2b service for blogs and record labels to increase the potential of their viewers being able to listen to the songs they were sharing. Instead of just sharing a Spotify embed, which would mean missing out on a huge portion of the streaming market, if they embedded the Cymbal Universal Player, they'd capture all potential streamers. This design offers the user their choice in services and then remembers it for the future, automatically loading up their player of choice. Our matching algorithm finds the same song across multiple services, meaning there's no extra work required of the blog/label to find each version of the same song across services. Worked on branding for a pre-launch startup called Collide. 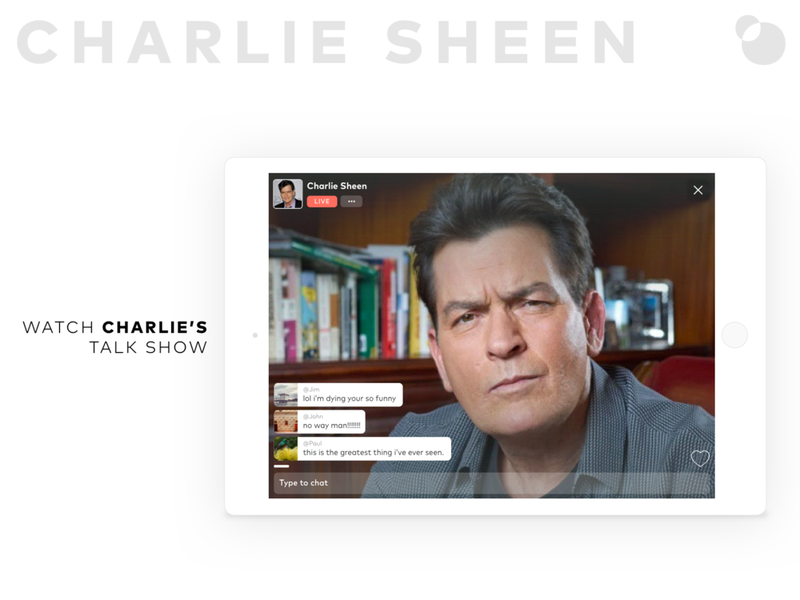 They're a live-streaming/conversation platform for celebrities and their fans. I designed their business cards, pitch decks, and advertising decks.